That’s hopeful news in the state’s battle against the disease that’s severely damaging Florida’s multimillion dollar-a-year industry. It also furthers the evidence that ‘LB8-9,’ also known as ‘Sugar Belle®’, is a good, greening-tolerant mandarin hybrid. In 2016, Florida citrus nurseries grew more ‘Sugar Belle’ trees than any other mandarin hybrid except for one, demonstrating grower interest in the variety, said UF/IFAS horticultural sciences professor Fred Gmitter. From field observation, scientists with UF/IFAS found the ‘Sugar Belle’ mandarin is less affected by citrus greening than other mandarins, said Nabil Killiny, an assistant professor of plant pathology. Researchers want to know what makes the ‘Sugar Belle’ resistant. Killiny’s study focused on identifying the chemicals found in ‘Sugar Belle’ trees that have been shown to fight against diseases in other plants. 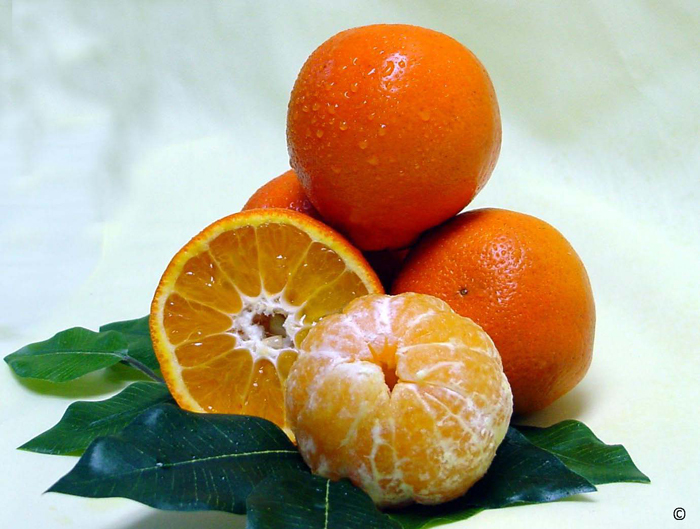 Scientists at the UF/IFAS Citrus Research and Education Center in Lake Alfred, Florida found ‘Sugar Belle’ mandarin is high in several volatiles and beneficial compounds – known as phenolics. These findings could tell scientists why ‘Sugar Belle’ mandarin is more tolerant to Huanglongbing, or HLB, also known as citrus greening. Researchers tested volatile and non-volatile metabolites of the greenhouse-grown mandarin trees. Among other traits, volatile metabolites emit odors, while non-volatile metabolites do not. To analyze the metabolites, they used gas chromatography – mass spectrometry and found the ‘Sugar Belle’ mandarins to be relatively tolerant. Other newly released mandarins should be further evaluated using greenhouse-controlled studies, the paper says. If tolerance of these hybrids is confirmed, they could be used to replace the traditionally susceptible cultivars. Gmitter and UF/IFAS professor Jude Grosser, co-authors on the new study, developed and released ‘Sugar Belle’ mandarin in 2009 and say they’re very popular with growers. The mandarin hybrid — a mix of the sweet Clementine and the colorful, bell-shaped Minneola — has a rich taste and strong aroma, Gmitter said. The sweet-tart fruit may be best described as a mandarin with a tangy punch. Since it spread to the Americas, greening has killed millions of trees and caused a sharp decline in production in many citrus growing regions. Field observations of hybrid citrus, such as the ‘Sugar Belle,’ showed them to be greening tolerant, the study says. The study is published in the journal of Plant Physiology and Biochemistry.